Donating Food – wet and dry cat food, the branded varieties like Whiskas, Felix, GoGat etc. are gratefully received. They can be put in the collection bin in Kennel Gate, Morrisons, Oldrids Garden Centre at Downtown or left outside Cath’s front door. Donating Supplies – Cath uses an awful lot of blankets and old towels, so if you have any please donate them by leaving outside the front door. But please remember she cannot use duvets, pillows or cushions because they are not washable. Donating Equipment – things like cat baskets and scratching posts are always welcome. Donating Gifts – unwanted presents and other items that Cath can sell or raffle at events to raise funds . Attend A Grantham ROCK Event – details of any forthcoming fund raising events are on the Events page. 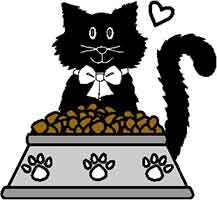 Organise A Fund Raising Event – if you are able to do some fund raising for the cats yourself that would be fantastic! There are some ideas on the Events page. Please let Cath know so we can advertise your event on the website and social media. Get Your Pets Neutered – if all pet owners did this then the number of homeless cats would reduce drastically. Educate People – tell everyone you know how important it is to neuter their pets for the pets’ health as well as to reduce the number of unwanted animals. Adopt A Cat Or Two – Of course this is the best thing you can do. If you can give a cat a safe and loving home please contact Cath directly. We are aiming to post about the cats that need homes. You may also keep an eye out for occasional articles in the Grantham Journal that feature cats needing homes.